Chloe + Isabel specializes in jewelry and jewelry merchandising for women that want to start their own businesses. Much of the jewelry is high-end, trendy fashion jewelry which gets featured in fashion magazines including Glamour and Vogue. The Founder and CEO, Chantel Waterbury, began a successful 15 year career in jewelry design and merchandising shortly after college. She worked for such retail giants as Target and Macy's as well as famous jewelry name brands like Tiffany and Cartier. Chantel always looked for a way to empower woman entrepreneurs. “Chloe” is the name for a fearless fashionista, always in search of the season’s hottest trends, while “Isabel” appreciates, above all, timeless, beautifully-crafted pieces. Whether you're a Chloe, an Isabel, or a Chloe-bel (that's a bit of both! ), this distributorship wants to be a destination for all women. Chloe + Isabel is also a member of the Direct Selling Association (DSA) which holds both sellers and companies to stringent rules and guidelines for ethical and fair business practices. There is an application process for new merchandisers, which includes an interview by a current merchandiser to ensure that each person who signs up has an entrepreneurial spirit. Each person is either interviewed or peer selected. Because there are no recruiting requirements, Chloe + Isabel doesn't really consider their company to be like your typical Multi-Level Marketing or MLM. It's also possible to sell jewelry via offline direct sales, online e-commerce, and through social media. Individual boutiques are also set up online and offline. The commission on all sales you make for Chloe + Isabel is between 25 to 40% depending on what the item is. Then there are cash bonuses from the company once you reach certain milestones. There is also plenty of guidance from team leaders who will help you reach any monthly income goals that you would have for yourself. Instead of recruiting like most MLMs, you are placed on the equivalent of sales teams. Sales are made for and by merchandisers using social media, online pop-up shops, and in-person events. Chloe + Isabel provides you with a unique URL to sell online as well as resume-boosting skills for your new business. This month (October 2016) you also get a free $75 jewelry credit if you apply apply to be a merchandiser and buy the kit. Unlike other direct sales companies, Chloe + Isabel does not require much in order to keep your merchandiser status. All you have to do to remain active is make at least one sale every six months. You can read them here at this link: http://www.glassdoor.com/Reviews/Chloe-Isabel-Reviews-E576307.htm if you want to see how they did. Their overall score was about 3.6 out of 5 stars as of the date of this blog post. Some raved about the distributorship, while others complained that the jewelry had become defective and the company had overall declined in performance. You can use this link to get started. Good luck! P.S. 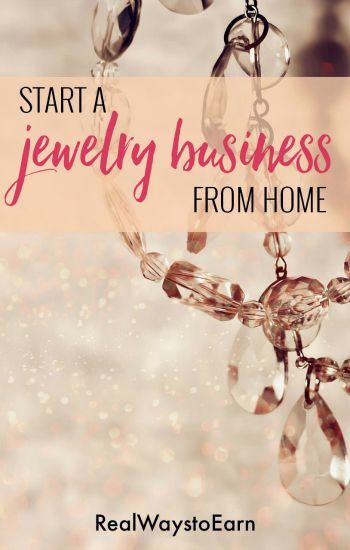 – If you want to start a direct sales business, but Chloe + Isabel isn't what you had in mind, you'll be excited to know that Stella & Dot (another VERY high-quality jewelry company) is offering a sign-up bonus for new stylists now through 4/30/18. And also looking for a business opportunity..
Anna, what is your honest opinion about this opportunity? Is it reputable? I have been thinking about it for a ehile, but don’t want to be “suckered” into anything that will require more than I can give. Do the merchadisers have to recruit others? Required to have face to face sales, or can everything be done online? Hi Lanah, As far as direct sales companies go, I know this to be a very reputable one. I did find that they don’t put a lot of pressure on consultants to recruit and instead focus primarily on sales. The jewelry is of good quality from what I understand. That said, direct sales isn’t for everyone. On the plus side, if you paid to sign up and decided it wasn’t for you, at least you would get to keep all the jewelry from your starter kit so it wouldn’t be like you didn’t get anything out of your investment. But, I recommend thinking about it pretty carefully. Definitely do lots of your own research before signing up. I’m sure that there are other blog posts (in addition to this one) that explain the opportunity. @Lanah – When I sign up for an e-course or any money making opportunity, I read everything I can get my hands and eyes on. I also go to Glassdoor and see if there is information available. I do think that this is one of the better ones with just as much emphasis put on your own professional development as well as any recruiting.